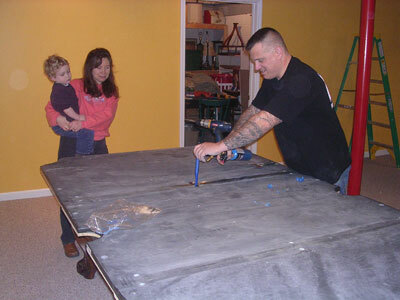 A 9 foot slate is very heavy! Ta-Da! 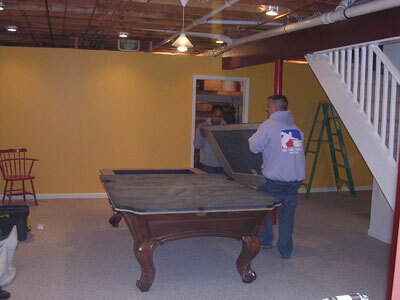 Just like that we can easily move your Pool Table! 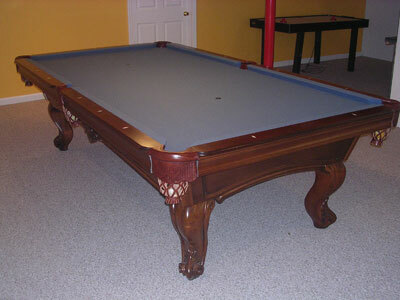 As you can see the green felt is very old and stained! 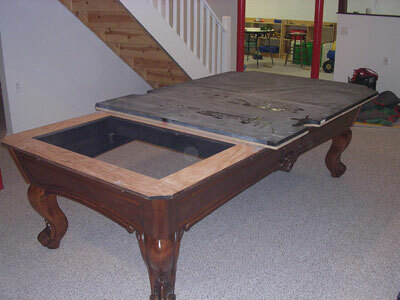 The slate then gets lowered back into the table. One side at a time that is! The new rails are then put on. 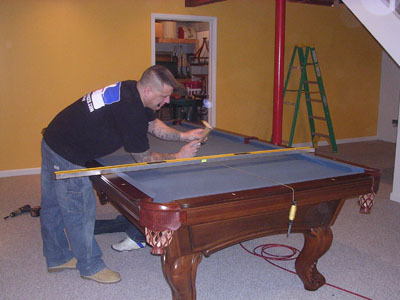 Wow, it's a brand new table again! Interested in a website for your business ? Click Here For More Information!